Murphy, a Democrat, said in response to questions about the appointments that he had accepted the resignation of Laurence M. Downes, the CEO of New Jersey Resources Corp., who currently serves as a board member and chairman of the EDA. “As first a member and later chairman of the board of the New Jersey Economic Development Authority, Larry Downes has been integral to achieving the state’s economic vision. 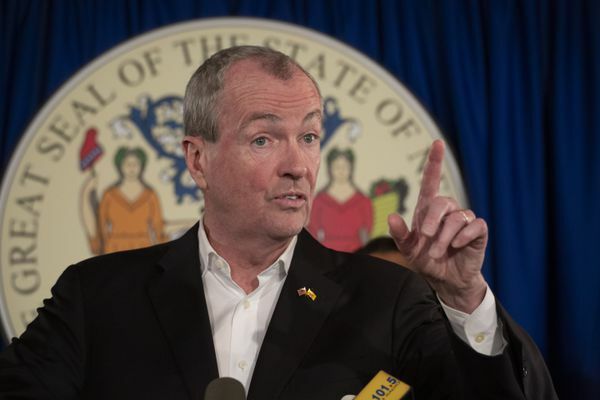 His knowledge of New Jersey’s fiscal needs is unmatched and as one of the chief architects of our economic master plan, Larry was an essential component of the state’s economic growth throughout his tenure on the board,” said Murphy in a statement. "I am grateful for not only his leadership of the NJEDA but also for his support and his friendship. I wish Larry well as he continues his stewardship of one of New Jersey’s most trusted public utilities. Downes, in a statement, confirmed he had agreed to offer his resignation as EDA chairman after speaking with the governor. “The EDA is now at a critical juncture, as the administration and legislature re-examine its function in line with the governor’s vision for economic growth and development,” Downes said. “The governor has expressed his belief that in the current climate, a new board will be more effective to carry out the EDA’s mission, and I fully agree. I am proud of the work we have accomplished, and appreciate the dedicated efforts of the EDA staff." The EDA board is made up of eight public members — four who are named by the governor, two recommended by the state Senate president, and two appointed upon recommendation by the state Assembly speaker. Five other administration officials also sit on the board, including the state treasurer, the banking commissioner and the labor commissioner. There is one alternate member as well, who was also appointed by the governor. All are unpaid. The EDA assists businesses looking to move to the state or expand with a portfolio of tax credits, grants tax-exempt and taxable bond financing, loans, and loan guarantees. The comptroller raised questions over how the EDA awarded tax credits to a number of unidentified companies, which could not verify they had created the jobs that were promised. It also said the agency could not evaluate whether its inventive programs generated any economic benefits to the state, and certified projects and released tax credits, in violation of the law — even when projects did not meet the requirements. A 2015 lawsuit that recently came to light revealed as well that political pressure was put on the EDA by the Christie administration to approve hundreds of millions in subsidies. In that lawsuit, a whistleblower claimed he was ordered to change data to help some companies obtain state tax breaks. The agency is currently the focus of a special governor’s task force formed by Murphy after that audit. In its first of a series of public hearings, the task force opened with the testimony of a whistleblower who claimed that the company she had worked for had been awarded a $2.67 million state grant after falsely claiming it was considering a move out of the state and planning to take those jobs to New York and Florida.